If you haven’t seen it all over instagram already but this month Birchbox has teamed up with Us Weekly to bring us Red Carpet worthy products that will leave us looking and feeling like a movie star. I don’t know about any of you but I love award season, all of the beautiful gowns, men in their finest and perfectly polished faces and not a fly away hair in sight. And as soon as I can I am at my vanity trying to recreate those beautiful looks and thanks to birch box it is a little easier. Creating my own step and repeat with the products in my box ( because lets face it all of them deserve their time in the spot light) I have decided to share just how wonderful all of them are. To start off our red carpet spotlights is the newest fragrance from Juicy Couture. Now i have share that I have been a fan of the Juicy fragrance line since it came out and have owned every single fragrance that they have come out with and they never disappoint. The newest addition is La La Malibu truly smells like sunshine and thats because the notes of mandarin mixed with a subtle sugar make you feel like a red carpet beach babe without all the sand. On a red carport we can’t forget about your nails and this color changing polish ( yes you read that correctly it changes colors) from Ruby Wing in Kitten Heels will leave the crowds stunned. 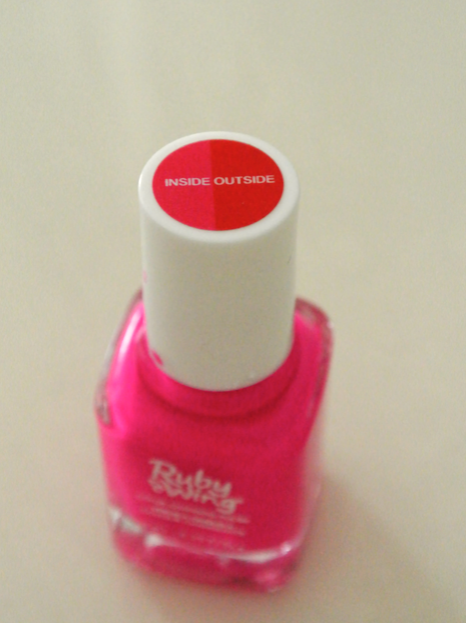 At first the polish is the most eye popping shade of pink that would leave barbie jealous but step into the sunlight and your nails will turn a heart stopping red. Something that sounds so amazing that only celebs could have you are able to try yourself, what could be more glam then that! Now if your on the red carpet giving all of your interviews you want to make sure your breath is crisp and clean, but not smell like you just swallowed a container of tic tacs. 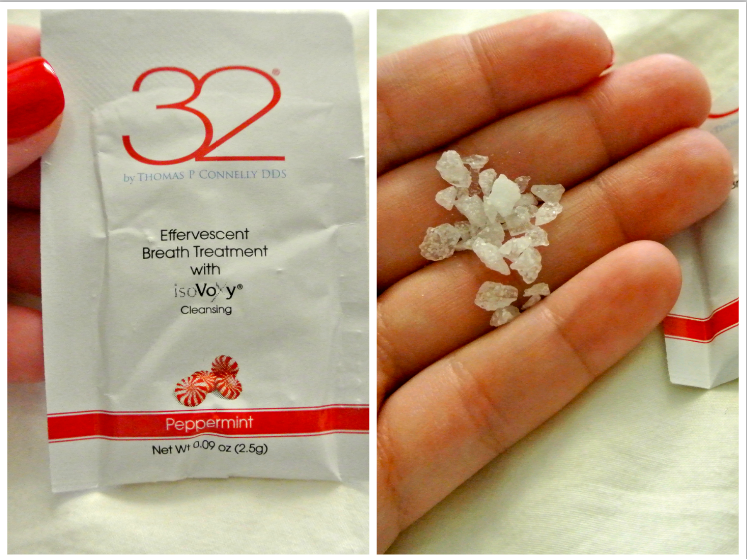 Meet your best friend from 32 Oral Care Effervescent Breath Crystals with IsoVoxy pretty much pop rock meets bacteria fighting breath mint, pretty awesome I know!!! These fun crystals use Zinc and Isovoxy to fight bad breath causing bacteria leaving you interview ready. Get ready for a power house hair product that not only protects your hair but will give you that mega war shine like your favorite celebrities! 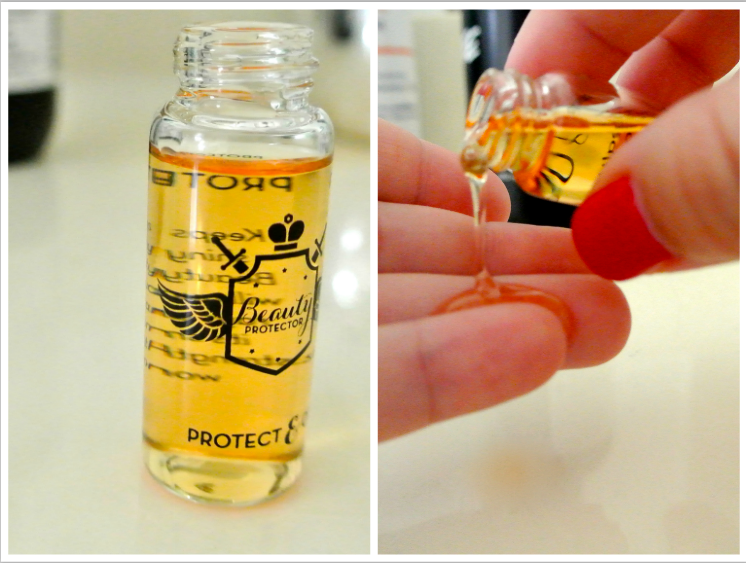 Being a huge fan of the Beauty Protect line shampoo, conditioner and the protect and detangle this new product to the cult like brand is the Beauty Protector Protect & Oil! Infused with Argon Oil this lightweight formula protects your hair from all that heat, styling and UV rays we subject it to getting camera ready. And what I love is that this is prabon free and cruelty free, who doesn’t love that! Last but certainly not least before we get our faces primped and glowing we need to make sure that we make our face a smooth canvas. 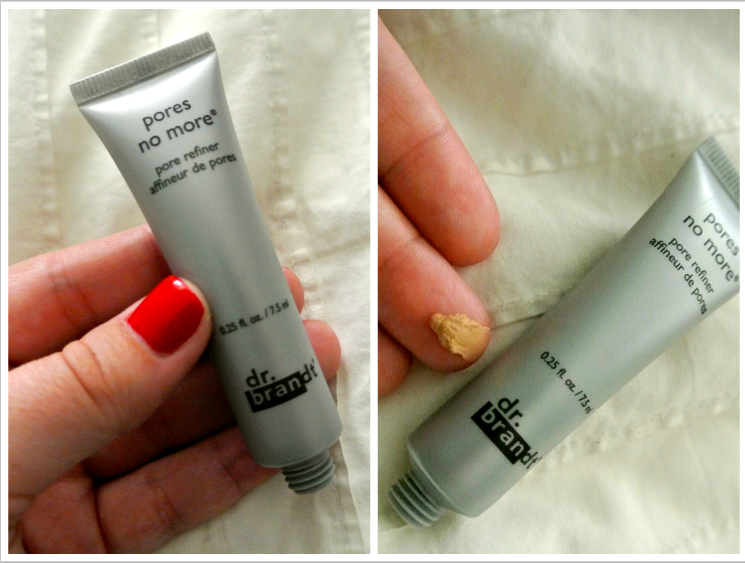 Thanks to Birchbox who partnered up with the fabulous Dr.Brant to give us his most coveted Camera Ready Kit products including his Pores no More Primer.This sheer and lightweight powerhouse will instantly smooth the surface of your skin, minimize pores and absorb oil all night. So no need to worry if your shiny for your acceptance speech! And thats all folks! All of the products any gal will need to either walk the red carpet or strut down the sidewalk in your most fierce outfit. Hope you all enjoyed and thank you so much for all of your support!